When you fly (or take almost any transportation) you are allowed one carry on luggage, and one personal item. Personal items are always smaller and are usually a backpack or a purse. I have a cross body bag as my personal item/camera bag, and I’m really digging it. Since I already went through what’s in my carry on, let’s talk about my personal item. I feel like this is far less exciting because this is mostly just left overs. 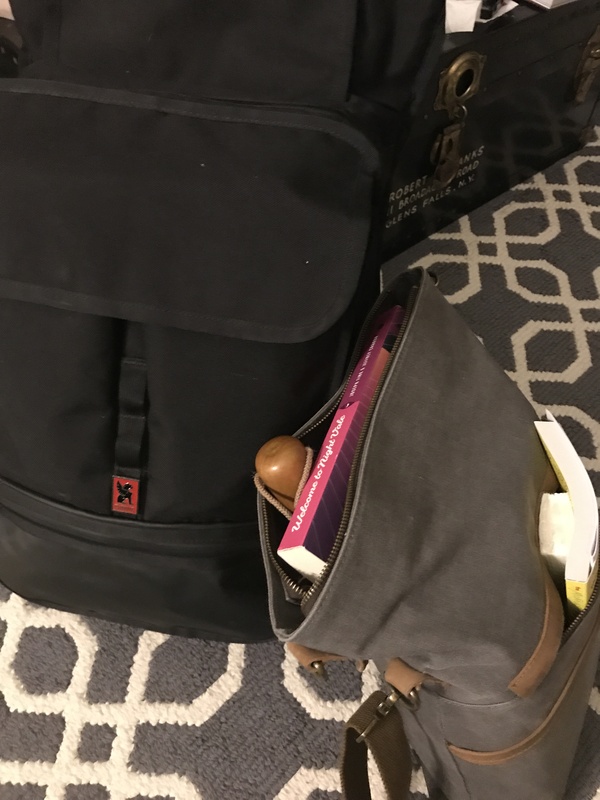 There are some items that are specifically for travel to and from NY, so they won’t actually be coming overseas, but that it because no matter what part of travel I’m at, this is my easy access bag. There are just a couple things in this bag, but it’s stuffed pretty full. 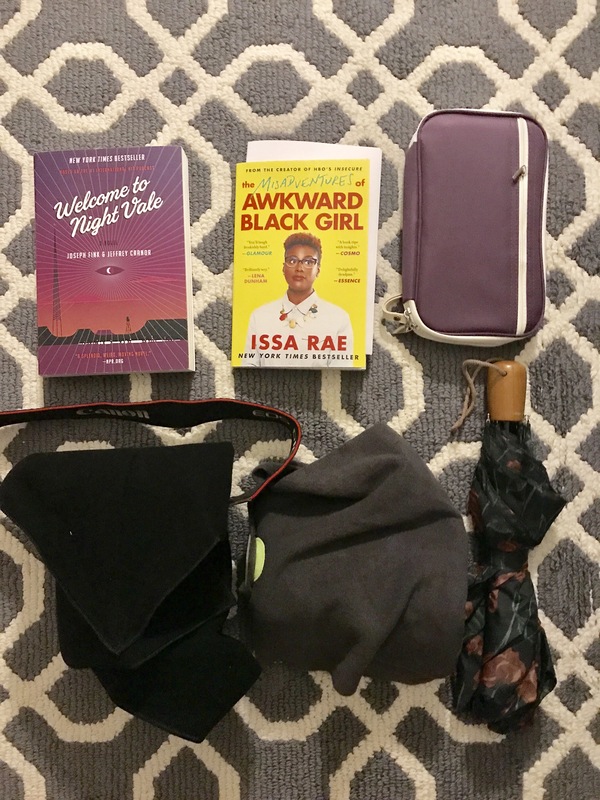 I have my umbrella (which will be transferred to my carry on bag when I get to NY), two books (Welcome to Nightvale for the bus to and from NY, and Misadventures of an Awkward Black Girl for the plane rides), my camera (folded into a domke wrap because it’s an inexpensive way to keep my camera safe), my neck pillow, and my travel wallet. It doesn’t seem like enough, but it totally is. Also, since I’m writing this Monday, there are some things that aren’t packed, and won’t be until tonight. My regular wallet, travel snacks (and lunch), medicine, and walking shoes have not been packed. They’re going in before I leave, but they are the last things, specifically so I know that they went in. I know it isn’t the most exciting bag, but looking at my two packed bags together is really wonderful. As you’re reading this, I’m on a bus to NY from MD, and on my way to see my mum. Wednesday we’re driving to Boston to take a flight to Dublin, and that kind of just hit me this weekend. I know things have been a bit sporadic here, and that (hopefully) will become less so after my trip. I’m not bringing my laptop, but I will have access to email for my time overseas. I’m excited to be a bit shut off, and I’m super excited to visit two new countries. Have a great couple of weeks, friends! I’ll see you on the other side!